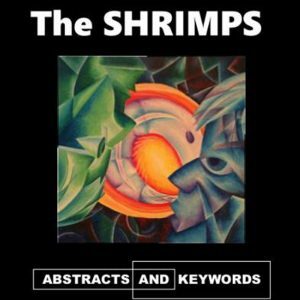 The Shrimps – Abstracts and Keywords – Album Review | The Ark of Music – The best music in the world…you never knew existed. British-born and New York-based, the Benjamin brothers originally came to the US with more conventional career goals, as Marcus was involved with broadcast and film, and Simon in publishing. Yet, beneath the surface of that practicality brewed something much more free-spirited. Before long, these two lifer-musicians formed the acoustic-folk duo, The Shrimps. 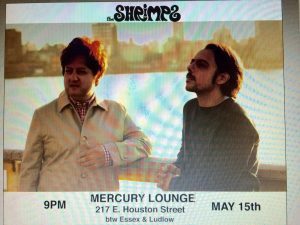 Already having toured several corners of the planet, this duo has quickly built a library of original music (2013’s The Shrimps; 2015’s Product), which has earned them comparisons to the likes of R.E.M., Simon & Garfunkel, and Lennon & McCartney. Their latest installment, Abstracts and Keywords, shows both purpose and growth. A dedication to life’s beautiful and perplexing mess, the acoustic guitar-based, Life We Live, is raw and minimalist; it hits home. Musicians will enjoy the guitar work, which is far more difficult than it sounds. There’s a lot of notes being played here, and the good news is—this trend continues throughout the album. With a touch of organ/synth and flute joining in on this typically acoustic affair, Rebels tells the story of the English street upon which The Shrimps grew up—a street which produced an oddly disproportionate number of celebrity personalities. “If it’s there to find, why wait? Everybody’s in the same boat, what do ya know? If you get to live long enough, where do ya go? With the addition of mandolin and a bit of bass, the lovely country ballad, Wings Of An Angel, comes out of nowhere. Genres-be-damned, it is no less effective that it’s predecessors. “So where did the man in the moon go? I’m wondering where could he be? Where did the man in the moon go? Grounded and authentic, Abstracts and Keywords tells stories, asks questions, and—in line with my personal bias—never pretends to know anything for sure. With raw, “non-perfected” production, in The Shrimps junior effort, listeners can experience a rare bit of what it feels and sounds like to create heart-lead, handmade music. BELOW, you can listen to The Shrimps’ album, Abstracts and Keywords, and connect with their social media platforms. Please support The Shrimps by visiting them online, and playing, downloading, and/or purchasing their music. And, as always, thank you for supporting real music!